Great red jeans and shoes!! I like this! Lovely trousers!!! Beautiful color and excellent overview of details! YOU ARE DOING IT AGAIN!!!!! So perfectly!!!! Love the denim shirt on the red jeans, ADORE this combo!!! 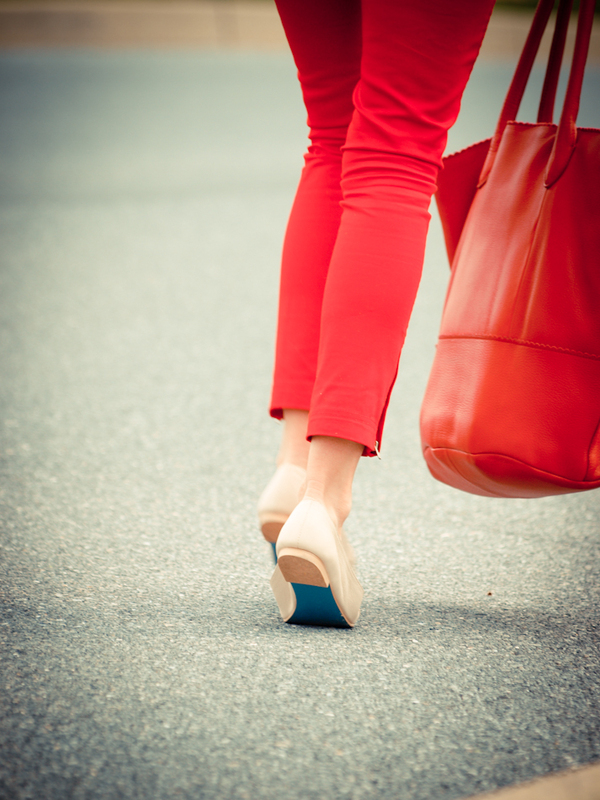 Love your bag & shoes, and you and your looks! 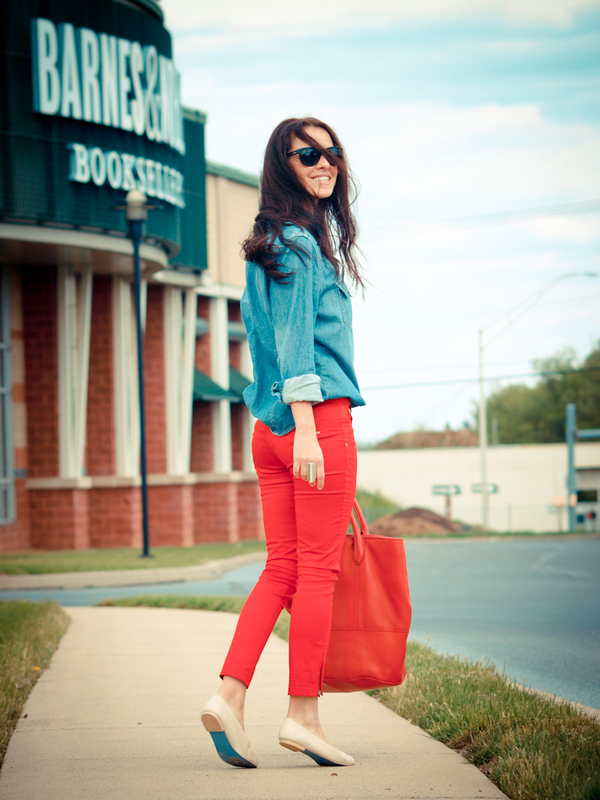 i LOVE the chambray with the red :) the colors are effortless and stunning on you! Very nice!Love the pants and the bracelet! Me encanta el outfit y el hecho de que no lleves taconazos aun mas, que por la red solo se ven chicas subidas a los tacones!!! I love that denim shirt and the whole look! 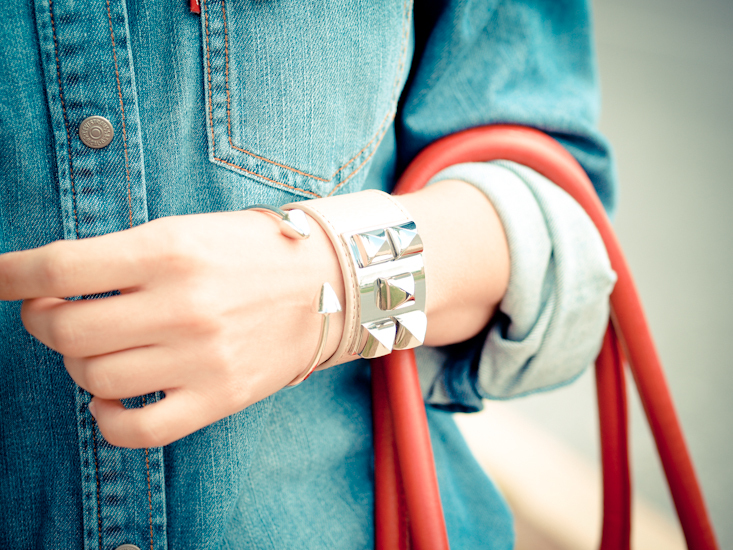 Your bracelets and the denim chambray make a gorgeous super effortless yet so cool stole! lovely outfit..both comfy and stylish! Really love this – you always look really good in red – bet you’d look amazing with MAC’s Ruby woo red lippy! Funnily enough I wore something v similar – but my denim shirt is more bleached – wore with magenta wide leg trousers! You always seem to create the best color combinations! I love this look and you’re right, these are perfect spring essentials. 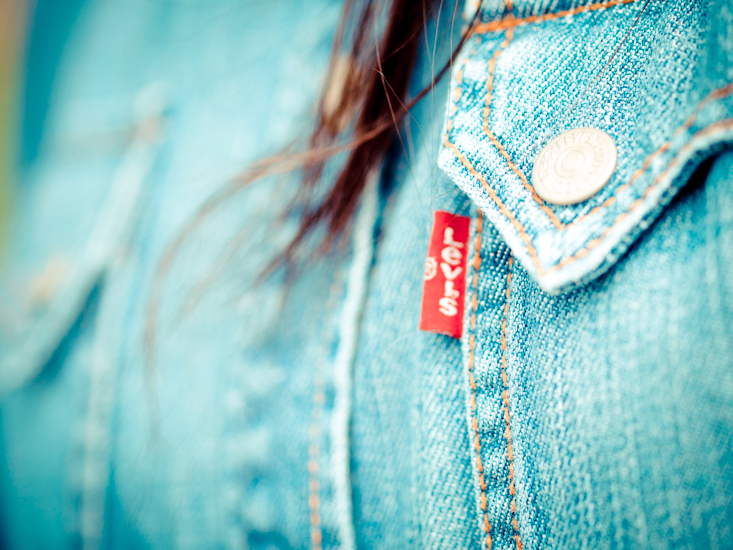 Love denim with red! Your hair looks beautiful too! love this outfit! definitely will be recreating it soon : ) my favorite part is the shoes! so cute. You look amazing dear! Very natural and absolutely pretty! I always have a soft spot for preppy looks! Yours is amazingly nonchalant and stylish! Nice look, that bag is amazing. Veronica, I think you just convinced me that I should try a denim shirt…the flats are a great neutral colour and such a pretty design! wow i’m loving the colours! i’m thinking of trying orange too. Great look! Loving your pants and bracelets! Too cute! These colors are so great together. Orange and denim, it’s a nice idea. Your shoes and bracelets are lovely. Very interesting post! !Thank you for share it! Follow you ever like pleasure, and you? I’m waiting you on my page… I have a new post!! Beautiful outfit and very nice blog! :D you are an inspiration! Hello happy day. Beautiful look and your pants color and denim shirt, love it. Awesome combo denim shirt and hot red pants!!! You look great in casual!